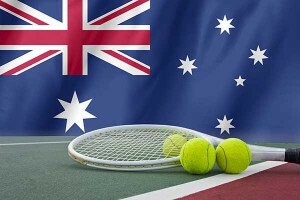 In its 110 year history the Tennis Australian Open and its spectators saw thousands of brilliantly played matches between some of the world’s best match play champion’s; however, some of these matches became moments in history to be remembered because their light shone just a little brighter than all the other stars over the years. Finals matches such as the 1969 men’s singles finals battle that saw the legendary Australian “Rocket” Rod Laver defeat Tony Roche in a pivotal victory on his road to become the only player that won the Grand Slam title twice. Another finals match, rated by tennis historian Steve Flink as one of the greatest tennis matches of all time, etched to memory after the 1981 defeat of number 1 ranked Chris Evert at the hands of Martina Navratilova. John McEnroe the seven time Grand Slam winner, not being one to shy away from confrontation became the first tennis player in history to be turfed from any Grand Slam Open era finals match. Rodney George Laver enjoyed a professional career spanning 24 years and retained his position as the world No. 1 ranked professional player from 1964 until 1970. He took his first Tennis Australian Open title in 1960 after defeating Neale Fraser a fellow Australian player he went on to win the same title on another two occasions despite suffering from a ban lasting five years in the pre-Open era. He still holds an all-time male singles record of having taken 22 titles during a single season in 1962. 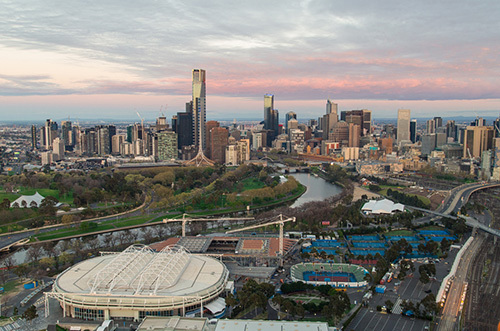 The Tennis Australian Open Championship established itself as one of the world’s Premier tournaments staged annually during the last two weeks of January, with Melbourne Park, Melbourne, Australia as the elected event host. Chronologically it is the first of four annual global tennis events known as the Grand Slam, the US Open, Wimbledon, and the French Open being the other three events on the Grand Slam calendar. The championship features women’s and men’s singles; women’s and men’s mixed doubles; Junior Championships; the exhibition and legends; and wheelchair events. Prior to 1988 the competition had traditionally been played on grass; however, since 1988 the Melbourne Park tournament sought two distinctly different types of hardcourt surfaces, from 1988 to 2007 a green Rebound Ace surface was used, with a blue Plexicushion utilised since 2008 till current. The Australian Open Championship experiences extremely high attendance figures, second only to those experienced at the U.S. Open. It also became the first of the Grand Slam tournaments to feature retractable roofs over all three the primary courts, namely the Hisense Arena, and since its refurbishment the Margaret Court Arena, as well as the Rod Laver Arena. The inaugural Australasian Championship event took place in 1905 at Melbourne’s Warehouseman Cricket Ground, later renamed to Albert Reserve Tennis Centre; in addition, in 1927 the tournament became known as the Australian Championships, only in 1969 did it finally receive its final renaming to become the Australian Open.